Around 62,300 employees from 142 nations in more than 100 occupations contribute to Swiss Post's ongoing success. In the competitive race for the best talent, Swiss Post relies on them as ambassadors. Potential managerial and specialist staff are promoted selectively. At the new headquarters, Swiss Post supports time- and location-independent work practices with modern infrastructure. In PowerTeams, apprentices with ambition can assume real responsibility at an early stage. The competition for talent and specialists in the labour market is intense. Swiss Post is strengthening its image as a modern and attractive employer, and relying on its employees as ambassadors to do so. 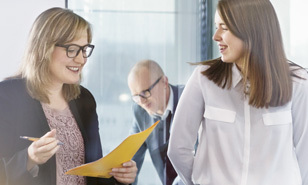 Holidays, working hours, loyalty bonuses, paternity leave – these and other issues relating to labour law have been regulated by Swiss Post together with its social partners in new collective employment contracts. Each of the three subsidiaries, Post CH Ltd, PostBus Switzerland Ltd and PostFinance Ltd, receives its own collective contract, which takes into account the industry-standard regulatory framework. The key points are regulated in an overarching umbrella collective employment contract. The new agreements take the needs of the company and the interests of staff into consideration. They came into effect on 1 January 2016. Since 2015, Swiss Post has been sending employees on study trips to Silicon Valley in California, the undisputed center of the international digital economy. 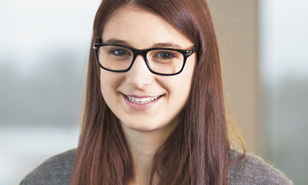 One such employee was Sarah Nünlist, who went there in autumn 2015. At the new EspacePost headquarters, Swiss Post promotes flexible work practices, strengthens mobility and networking among employees and makes collaboration simpler. Openness and a willingness to let go of old habits are just as much a part of this as personal responsibility. Where am I working today? With which tools and resources? The new working environment calls for a good deal of personal responsibility. This was a cause for concern in some quarters. But after their initial experience at the new headquarters, Work Smart received a positive response from the vast majority of employees. In 2015, around 100 apprentices worked in so-called PowerTeams. Supported by coaches, they are responsible for a project from A to Z within a clearly defined range and manage the necessary processes. The participants in the brainstorming session note their ideas directly on the white wall. Two apprentices in the lounge area are having an animated discussion about the Swiss Post Employee Fund Foundation rebranding order, while the team leader gets a Coke from the huge red refrigerator. The scene plays out at the ICT Campus, opened by Swiss Post at the Engehalde data center in Berne in August 2015. The idea behind this talent pool is to defuse the ICT skills shortage by doubling the number of apprenticeships in this field in the coming years. There are currently around 50 informatics, mediamatics and commercial apprentices working and studying here. There's a whiff of the Google atmosphere in the way they work. It's casual and easy-going. The young people are encouraged to work creatively in networks. There are currently 38 apprentices completing their basic training here and deepening their knowledge in the field of informatics. There are also trainees from different years in their apprenticeship working together in a PostFinance PowerTeam processing orders from the units and from other clients. employees, including 7,921 abroad, help to shape Swiss Post with their ideas. 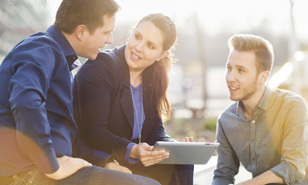 nationalities ensure a diverse corporate culture at Swiss Post. professions can be practised at Swiss Post. of junior and middle managers are women. apprentices complete their vocational training at Swiss Post. That represents 5.7 percent of the workforce as a whole. jobs are on offer at Swiss Post in IT alone, making it one of the biggest employers in Switzerland in this sector.